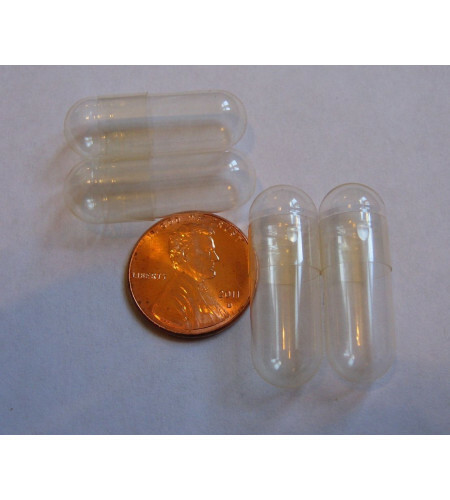 These are empty size 000 kosher gelatin capsules. They measure 9.97mm across and 26.14mm long. They hold 1.37mL, which typically works out to about 1.5 grams of powder if you fill both ends. The larger end holds about 1 gram and the smaller end holds about 0.5 grams.